Runway 18 | My Journey as a Private Pilot. It’s been quite a while since my last post – between work, and, well, work…I haven’t had much time to fly. I have, however, been flying at least every 60 days to remain current at Freeway Airport (W00). My mother was in town from Germany, so I took her out to Cambridge (CGE) for breakfast, then over to Fort Meade/Tipton (FME) for a couple of landings, before heading back to W00. Relatively short, easy flight. I logged 2.1 hours and now have right around 105 total hours. 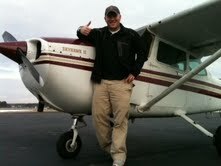 I started my Instrument rating (IFR) at Lee Annapolis Airport – I made it into Phase 2 of 4 before putting it on hold. I felt like I was wasting money b/c there was simply too much time between flights (~2-3 weeks). My work will (should) be slowing a bit over the next few months, and once it does, I’ll pick back up where I left off. Below is a video of me entering the pattern at Cambridge (left downwind for Runway 16). Enjoy! The downside to using my GI Bill for training is that there are currently only about five schools here in Maryland certified through the VA for reimbursement. Unfortunately, the school I used to obtain my Private is not currently among them (Freeway Aviation in Bowie, MD). As such, I’ll be using the Navy Annapolis Flying Club (www.nafcflying.org) at Lee Airport (KANP) to continue my training. From what I hear and have read, it sounds like a good place to continue my training! If anyone out there has any experience (especially flight training) using NAFC, I’d love to hear it. I hope to have my first lesson within the next few weeks (have to wade through the bureaucratic red tape of the VA before I can begin). Keep an eye out for my first Instrument lesson! Full disclosure here. 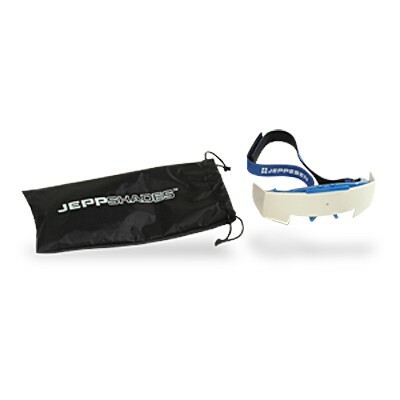 Airspeed Junkie found Runway18 and offered me one of their products in exchange for a review and I was more than happy to oblige! Airspeed Junkie (ASJ) is a new aviation/pilot supply store out there for those pilots who are “tired of the same old thing”. If you’re familiar with Sporty’s (which any pilot likely is), MyPilotStore or any of the traditional pilot stores, you’ll be pleasantly surprised when you stop by ASJ. The inspiration of their clothing line (V1) comes from a mix between aviation and motorcycles. While I personally do not ride motorcycles, I have plenty of friends who do both and would enjoy this deviation from the norm when it comes to aviation/pilot supplies! ASJ sent me the V1 Skull Prop hat (below). As you can see by the design on the hat, aviation doesn’t necessarily jump out in your face like the “I AM A PILOT” shirts you can get at other online stores. My first thought was Orange County Choppers (OCC) or Jesse James and was quickly followed with a, “but wait, are those propellers jumping out of the skull?”. Nice! The other thing I like about this hat is that it’s fitted. Being a hat-guy myself, here are a few comments: they use fitted styles, which I do prefer. 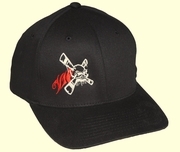 Additionally, they use a lighter material (not like your standard heavy-weight baseball hats). I personally like them a bit heavier, but the positive (always an optimist) is that it won’t have much of an effect on the airplane’s weight and balance! What I will say about the company itself is that they are extremely responsive to communication and delivered the product via expedited service. Having a good product is only half of the battle; having great customer service is the other. I’ll most definitely being stopping by again soon! So, I have been averaging a flight every 30-45 days or so (thank you, work). I hope to cut that down to about at least once every 3-4 weeks, at a minimum. I got up last week (18 August), but had to take off early from work to do it. It was a great day to fly. I took our C-172 from Freeway Airport to Cambridge, Ridgely and back to Freeway. The flight lasted just under two hours. Beautiful day to fly. About 15 minutes into the flight, the camera tilted slightly to the right, making for a weird angle. Just FYI, it wasn’t a weird “crabbing” technique or anything. 🙂 I did end up fixing it after the first landing, so you won’t have to deal with looking at it for too long. I decided to take a 1/2 day off from work this past Tuesday and take advantage of the beautiful weather in the area. I wanted to fly on Saturday but the weekend wasn’t looking too good. The METAR showed light winds all day + the blue skies = Great day to fly! It was a little bumpier than expected and that was briefed. As soon as I left Freeway Airport and got out over the treeline, I experienced some pretty decent up and down drafts. Luckily, it was only a short 8 minute flight to FME, which is located just north of Freeway. The closer I got to FME, the bumpier it got. I entered the pattern, got to short final and saw the windsock alternate from limp to stiff and back to limp…it was fairly gusty. Really, it was the worst taking off from Rwy 28 and getting out over the treeline. They really have this tendancy to pull you down into them if you aren’t careful. I knocked out five landings at FME and decided it was enough before heading back to Freeway Airport. The video is of one of my landings at FME. All of my landings were long, due to the additional power needed on short final. The landing at Freeway was a bit easier, as the winds were nearly straight down the runway. It was short flight (1.2 hours). I was reminded today that the AirVenture at OshKosh, WI is 25-31 July. Unfortunately, I’ll be out of town for work, but may be able to swing by the event the evening of the 29th and stay the weekend. I really want to go though! Speaking of nice days, it was really nice, just a TAD windy. Story of this year, really. It’s either beautiful and windy or just plain crap weather. This day we dealt with a little wind, which was ok. Just meant a bit more power and coming in a bit higher on short final. All in all, it was a great day to fly, and an added bonus when you can do it with family and friends. I should be going up with a buddy on Monday evening for a nice night flight out of Gaithersburg, MD. It’s a flight we have been trying to get in for about two months now. Again, either the weather doesn’t play along or our schedules won’t. But Monday night is looking pretty good with light NW winds at 5-10 knots. If you have time, check out his blog over at www.keithjjones.com. Hope to have some good footage after that flight! The weather hasn’t been to pilot-friendly as of late, so I was quick to take advantage of the break in high winds that hit the East Coast. Just last night, 50-60 knot winds were pounding the area. I filed my flight plan around 7am, and a buddy (Mike) met me at Freeway Airport this morning just before 8am. I knocked out the pre-flight, filled up the plane and started the taxi. I did my run-up and noticed that the map wasn’t showing the course line to Cambridge, MD. I spent about five minutes trying to figure it out (in one year of training, I NEVER had that happen). At that point, I hear Mike say, “so, did you stay in a Holiday Inn Express?” I got a good laugh…at my expense. For those of you that aren’t familiar with that line, it’s a Holiday Inn Express commercial…pretty funny. Anyway, I got the map issue sorted and off we were. The winds were sitting around 5-10 knots…not too bad. We got up to 2000′ and exited the Paleo Gate VFR direct to Cambridge, MD (CGE), about a 20 minute flight. Being that it was a nice morning, there were quite a few planes in the pattern at CGE. We hopped in the pattern, did a couple of landings (to include one Touch and Go) and departed to Easton. Being that I had to be back no later than 10am (a student needed the plane), we overflew Easton, headed back across the Chesapeake Bay, over Annapolis and into Freeway Airport. All in all, I was able to get three crosswind landings. Hopefully the weather is decent next weekend for a short flight before a business trip! After working towards my private pilot certification for exactly one year to the day, I passed my FAA check ride yesterday! My day started at 6am, and had to be at my airport at 7am. I was prepared for a really long day. I got in and immediately filed for my flight to Easton, MD and received my weather briefing. Once I got off of the phone with Flight Services, I plugged in my weather and finished my flight planning. I was given a flight to plan in advance, with the understanding that we’d divert to another airport. I finished that and started my preflight on the airplane, and before I knew it, I was in the air. The examiner is based at Easton, MD, where I had to meet him. It was a quick 20-minute flight across the Chesapeake Bay. I landed and taxied to the terminal where I tied the plane down and went inside. Easton was a nice little terminal with a little cafe called Sugar Buns. Once inside, I found my examiner fairly quickly. We changed greetings and off we were to his office. The first hour and a half we spent ensuring I met all of the requirements, with him scouring over all of my records. Before I knew it, the “test” began. The first ting he did was pulled out an aerial of Easton, and asked me all about traffic patterns and Land and Hold Short Operations (LAHSO). From there he pulled out runway markings and sign flash cards. We went over about 10 of those before moving on. I believe we dabbled in weight and balance, as well as aircraft performance from there. He just had me calculate takeoff weight, fuel burned enroute to our first destination, takeoff roll, landing distance, etc. I had much of that already prepared, so that went fairly smoothly. By that time, it was lunch time and we were both hungry. He invited me to the cafe, where the questioning continued over lunch. There we focused on aeromedical factors, which was pretty much all scenario based, as well as issues revolving around the certification of airmen. He finished up asking me about all of the emergency procedures. I was told in advance to make sure I knew them all by heart, which I did commit to memory. We spent about an hour at lunch, before moving on. We headed back to his office, which was a two minute walk. At that point, I pulled out my planning and sectional and we discussed the route. He focused on airspace issues, which again were all scenario based. He asked some VOR based questions as well. It was all very straight forward for me, as I really studied my rear end off. Before I knew it, he told me to go preflight the plane and that he’d meet me out there. At that point, I knew I’d passed the oral grilling, because if your don’t, you don’t get to fly. I headed out and started my preflight. I finished the preflight, gave my first passenger briefing and awy we were. Started out with a soft field takeoff, followed by a soft field landing. Did a touch and go, then came back around for a short field landing. After that, we flew towards my first checkpoint using only pilotage. He added in a few additional checkpoints and wanted to see if a) I could get there and b) find the checkpoints, which I did. We did some instrument training (wih the foggles), which included starigt and level flight, descending turns, climbing turns, recovering, 180 degree turns, etc. No issues there either. That lasted about 15 minutes before we moved on to emergency procedures. He simulated an engine out, I set our best glide, did a couple of descending circles around the grass strip (we were at about 4500′), set up for landing then went around. From there, we flew back to Easton, and I was able to make any sort of landing I chose (I chose a normal landing) and taxied back to the terminal. As soon as we stopped and I secured the aircraft, I heard him say, “congratulations!”. I couldn’t believe it. I was done, one year to the day. We took a picture, headed back in for the paperwork and i filed to fly back into the DC airspace (SFRA). By this time, the sun was setting, which made for a beautiful flight home. I am finally a private pilot. There are very few times in ones life that you get the same emotions after achieving something like this: the birth of my daughter and wedding are really the only two that come to mind. All of my [seemingly] endless studying and time spent in the air has finally culminated to one day. And it was worth every penny and hour (both on the ground and in the air). So, I cant end this without saying “Thank you” to Matt Kiddey, my Certified Flight Instructor, and the rest of the Freeway Aviation staff. While I did finish, I am not finished learning. As they say in aviation, you are never done learning. I will continue to track my flights with my family and friends on here. And speaking of which, I am starting the New Year out right – I’m taking my wife up tomorrow! If the weather holds out, I’ll have some video to post of that.